We’d love your help. Let us know what’s wrong with this preview of Mitosis by Brandon Sanderson. To ask other readers questions about Mitosis, please sign up. Is it good because i dont want to waste money if its not good or if it doesnt have anything to do with the series? Raederle Phoenix It's only two chapters. I enjoyed it and I'm glad to have it, but it is a tiny fraction of a book for a full book price. the best one is the book calamity i'm a 11 year old so i'm impressed as well my math teacher is also reading the reckoners series i have read all of the books to? This answer contains spoilers… (view spoiler)[i have not read this one yet? The shorter a Sanderson read is, the less impressed I am with myself if I figure out the twisty paths of that man's genius mind . . . Anyway, MITOSIS was a short entertaining story that gave just a (possible) hint more insight into the mysterious ways of Epics. PLUS, you know, there's all the horribly hilarious metaphors a la David. Highly recommended. Firefight The shorter a Sanderson read is, the less impressed I am with myself if I figure out the twisty paths of that man's genius mind . . .
A short read, but I think well worth it, you get to spend a little more time with these fabulous characters, I think I like David and Abraham even more after this book! I have only read this book for 1 hour! It is very entertaining and fun! Alhamdulillah. I love this book so much Alhamdulillah. I am off to 'Firefight' Alhamdulillah! 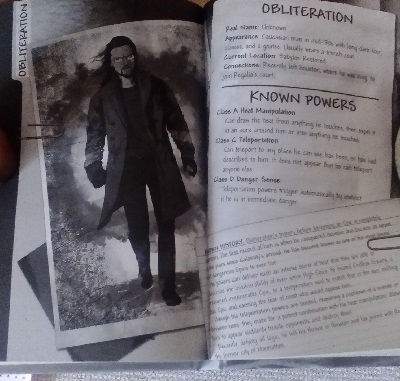 Set after of the events on the book Steelheart, now you can starting to understand the new role that The Reckoners must take after taking hard decisions at the end of the first novel. Any action has consequences, and now The Reckoners know that anything that they, or some of its team, may done, will have sequels. It was a brief reading but it has a great final act, so I was quite glad of having read this short story. I opted not to comment more about this reading to avo This was a great short story! Firstly, let me say that I do love the Reckoner’s series. Brandon Sanderson has such a stylish way of writing David’s story: the prose is short, snappy, and brilliant. This short story also manifests the same flair. But, when considering its structure, reader investment and contribution towards this series, then it can only be thought of as a waste of time. There, I actually said it. Brandon Sanderson has actually written something that I don’t like. I never thought I’d live to see the day becau Firstly, let me say that I do love the Reckoner’s series. Brandon Sanderson has such a stylish way of writing David’s story: the prose is short, snappy, and brilliant. This short story also manifests the same flair. But, when considering its structure, reader investment and contribution towards this series, then it can only be thought of as a waste of time. There, I actually said it. Brandon Sanderson has actually written something that I don’t like. I never thought I’d live to see the day because he is a great fantasy writer. Simply put, this is far too short. The story itself is only forty pages long. This, when combined with the quick nature of his prose, results in a short story that can be read in around ten minutes. This is frustrating because the edition costs the same price as a standard paperback novel. In my opinion, this should have been made freely available online. It feels that this was simply published to create hype for the (then) upcoming release of Firefight. This resulted in a disappointing story on all levels because it is lacking so much that it vitally needed. The story is, essentially, an action sequence. If you’ve read Firefight then you would have seen the references to the epic known as Mitosis. This story is, simply, David’s battle with her. The action is fantastic, it is Sanderson after all, but that’s all it has: action. There is no real solid plot or payoff; there is no real character development or even time to for the feelings of sympathy to emerge over David’s past. It is simply fast, cheap, action. From reading this I feel like I’ve gained very little. This has not enhanced my estimation of the series or its characters; this has not improved the overall plot of the series, and, if anything, has only annoyed me because this was pointless, and was barely entertaining. As previous readers will know, David likes to classify Epics. He does this so he can figure out their weaknesses and their strengths. In here are some pictures of David’s research. For me, this saved the edition. I found these profiles to be quite fun, and helped to evoke the nature of David’s mission. I’d like to see some of these in the full novels because I think it would help to solidify the comic book nature of this series. That being said though, these simply could have been posted on the author’s website or on advertising campaigns for the release of Firefight. Overall, I thought this was a waste of time. These profiles were, again, for the soul purpose of creating more hype for Firefight. This is good for the book publishers, but for the reader it’s not that great. Had the short story in here been an actual proper short story then this may have been a different matter. The best way to describe this very short story is.. meh. I don't know if it will add anything to the series (I'll update after reading book 2) but I wasn't feeling it. Solid bridge between first and second book. Now off to Firefight. Can't wait for my mind to be blown again. This is a super short novella involving how the city has changed after the ending of Steelheart. It is not necessary to read for the next Novel but it probably just ~30 minutes of reading time if you have some time to kill. The Good: We get a glimpse of how the people in the city are changing and a few bad metaphors from David. “Or perhaps a quilt?” Abraham asked, sounding amused. A quilt. Why hadn’t I thought of that? Most of the story is a long action sequence against an epic that comes to the city looking for the Reckoners. He has some interesting traits and might be a clue to how to discover the Epic’s weaknesses. I liked seeing the lead into where the next book will pick up. The Bad: Well really there isn’t much bad except that I wanted more, but I always want to read more in any Sanderson story. And my Reckoner future boyfriend Cody wasn’t in this one I missed him. I'm so happy to be back in Newcago! Even if it was for only 35 pages, it was 35 pages of humor, action, characters I love, and a new Epic to tie me over until book 2. A nice short story that bridges the time between book 1 and 2 with a new epic coming to Newcago in order to mess things up after the drastic change the city had gone through. David find a lead regarding the weakness of the epics. This is a nice addition to the Reckoners series. The audiobook has a great narrator and it's short. It's only an hour long and that's if you listen to it at regular speed. There isn't a lot I can say without giving anything away. The beginning was funny and the end circles back around. I enjoyed the interaction between David and Mitosis! This has major spoilers in it so you definitely need to read Steelheart first. Great as with all Sanderson's Work but way too short. Always want more when it come to him. This was a tiny novella set after the events in Steelheart. It provided a quick glimpse of what life is like in a post-Epic Newcago. The Reckoners are in charge for now, but the populace are wary and fearful that it is only a matter of time before a new Epic appears to claim the city. In this novella David and the Reckoners fend off the first of the Epics to make a try. 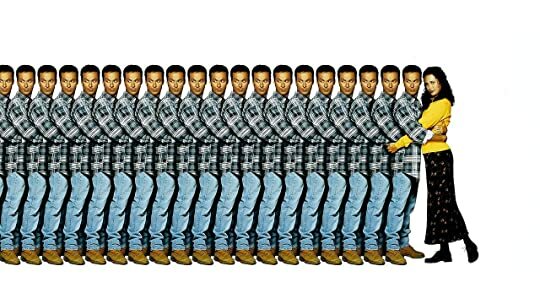 The self replicating one man army Mitosis. This was a fun read. It has served its purpose of hyping me up to read Firefight! Rat This was a tiny novella set after the events in Steelheart. It provided a quick glimpse of what life is like in a post-Epic Newcago. The Reckoners are in charge for now, but the populace are wary and fearful that it is only a matter of time before a new Epic appears to claim the city. Audio Note: This was narrated well by MacLeod Andrews. El episodio es entretenido, pero nada del otro mundo. Eso sí, el último capítulo plantea unos interrogantes que vienen muy bien de cara a empezar Firefight... Qué inteligente es Sanderson. Echaba de menos a mis Reckoners ❤ El episodio es entretenido, pero nada del otro mundo. Eso sí, el último capítulo plantea unos interrogantes que vienen muy bien de cara a empezar Firefight... Qué inteligente es Sanderson. "Why'd ya read it, E.? Thought you hated the first book?" I read this because the Epic, Mitosis, is mentioned in the first few chapters of Firefight, which I also happened to get free through Audible. I'd seen this short story floating around on Goodreads, but figured it was a standalone deal. Then What's-his-face (the narrator) brings up the fight in the new book, so I figured it "Why'd ya read it, E.? Thought you hated the first book?" I read this because the Epic, Mitosis, is mentioned in the first few chapters of Firefight, which I also happened to get free through Audible. I'd seen this short story floating around on Goodreads, but figured it was a standalone deal. Then What's-his-face (the narrator) brings up the fight in the new book, so I figured it was important. It's not. I was right the first time. A nice filler between Steelheart and Firefight. This book is about Mitosis, who is again an Epic, and who wants some answers about how Steelheart died. He corners David and tries to intimidate him into giving him some answers. A fast paced short read that acts as a perfect, if somewhat unnecessary filler between the two books. However, I feel that the question raised at the end of this book will form an important basis for the next book, at least that is my hope. Only reading the second book will A nice filler between Steelheart and Firefight. This book is about Mitosis, who is again an Epic, and who wants some answers about how Steelheart died. He corners David and tries to intimidate him into giving him some answers. A fast paced short read that acts as a perfect, if somewhat unnecessary filler between the two books. However, I feel that the question raised at the end of this book will form an important basis for the next book, at least that is my hope. Only reading the second book will tell me if I am right. If you are at a loss for what to read or if you are someone like me who loves to read novellas in series, give this one a try. According to me, I don't think you lose much, even if you were to ignore it completely. I actually like this short story more than the first book. Maybe I'm warming up to David as a main POV character. Following the defeat of Steelheart and Nightweilder, the city of Newcago--that word still makes me cringe--is now a sunny post-apocalyptic refuge for the powerless. But the people are still weary, as though expecting a new Epic to defeat the Reckoners and plunge the city back into darkness. And one does step up to the challenge--Mitosis. He's the first to pose a threat, but he's certa I actually like this short story more than the first book. Maybe I'm warming up to David as a main POV character. Following the defeat of Steelheart and Nightweilder, the city of Newcago--that word still makes me cringe--is now a sunny post-apocalyptic refuge for the powerless. But the people are still weary, as though expecting a new Epic to defeat the Reckoners and plunge the city back into darkness. And one does step up to the challenge--Mitosis. He's the first to pose a threat, but he's certainly not the last. What can i even say? It's Brandon Sanderson, of course i loved it. And even thought it was very short, we still had a beautifull variety of bad methaphors and some pretty good action. David is even more badass than he thinks he is. 4 Estrellas y son por la brevedad del relato. Muy corto, pero que dice mucho, apenas han sido 35 páginas, pero ha sido muy conciso, lleno de ansiedad y acción. "Mitosis" ocurre entre "Steelheart" y "Firefight", así que declaro obligatorio leerlo después del primero. 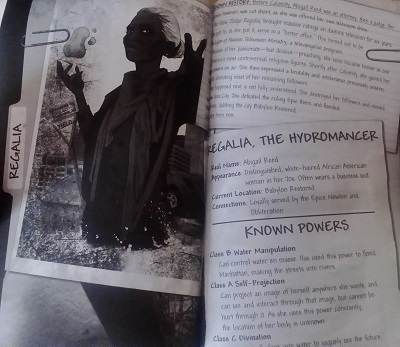 También añade una pequeña dosis de misterio, pues todo parece indicar que los Reckoners no estarán en Chicago Nova en el siguiente libro, si no en Babilonia Restaurada (me he quedado bizca al ver el nombrecito de lo que conocemos como 4 Estrellas y son por la brevedad del relato. Muy corto, pero que dice mucho, apenas han sido 35 páginas, pero ha sido muy conciso, lleno de ansiedad y acción. "Mitosis" ocurre entre "Steelheart" y "Firefight", así que declaro obligatorio leerlo después del primero. También añade una pequeña dosis de misterio, pues todo parece indicar que los Reckoners no estarán en Chicago Nova en el siguiente libro, si no en Babilonia Restaurada (me he quedado bizca al ver el nombrecito de lo que conocemos como Nueva York). Al principio le iba a dar a este libro 4 estrellas, de hecho, se las puse. Y es que en mi cabeza tengo registrado que un spin-off, o cualquier novela corta, jamás podría rellenar esas 5 estrellas perfectas. Pero luego de unos minutos me di cuenta de que sí, Mitosis se merece esas 5 estrellas, sin importar que tenga menos de 40 páginas. Este spin-off nos sitúa un poco después de los eventos ocurridos en Steelhaert, nos da un poco de Al principio le iba a dar a este libro 4 estrellas, de hecho, se las puse. Y es que en mi cabeza tengo registrado que un spin-off, o cualquier novela corta, jamás podría rellenar esas 5 estrellas perfectas. Pero luego de unos minutos me di cuenta de que sí, Mitosis se merece esas 5 estrellas, sin importar que tenga menos de 40 páginas. Este spin-off nos sitúa un poco después de los eventos ocurridos en Steelhaert, nos da un poco de insight de cómo quedó la ciudad, y la organización de NewCago en general. Este aspecto me gustó, quedé conforme con la manera en que el mundo se ha adaptado a la muerte de Steelheart, cómo la sociedad se ha moldeado alrededor de este nuevo concepto, de que los humanos también tienen el poder de hacerle frente a los épicos, me pareció real y creíble. En esta novela tenemos, como es típico de Sanderson (wow, leo un libro del hombre y ya me hago la experta en su bibliografía) ese humor ligero que ya está impregnado en su pluma; ayudado obviamente por nuestro hermoso y maravilloso e hilarante protagonista, y sus excelentes comparaciones, y hot dogs y Abraham. Me pareció muy novedoso el poder del Épico de esta novela (y su debilidad, por supuesto), pero lo que más me gustó, además de lo excesivamente divertido que fue leer de él, fue su afán por descubrir quién había realmente asesinado a Steelheart. Creo que eso dice mucho de los Épicos y de lo que está por venir. No quiero spolear nada, pero esa escena con el pueblo al final, me llenó de esperanza y un sentimiento calentito en el pecho, casi me hizo acordar a la canción The Hanging Tree, en la película de Sinsajo. En esta novela sólo esperaba tener una buena aventura matando a un Épico, ver un poco cómo estaban las cosas en NewCago y hypearme para Firefight, pero en Mitosis también se revelan algunas cosas que son altamente relevantes para la trama. Okey, no se revelan-revelan, sólo se insinúan, como la primera pista que luego los personajes y la trama en sí va a ir desarrollando para darle forma a esta historia, pero aún así me gustó ver que David ya estaba pensando en eso, y que seguramente va a desarrollar una gran teoría sobre lo Épicos y sus debilidades en los libros futuros. A short story in the Reckoners series, this is all about an Epic who is able to clone himself an infinite amount of times. Kinda like horcruxes, because if one of them remains, the dude won't die. It's an interesting conundrum, but apparently easily solved, because this book clocks in at just over 30 pages. Easily solved... if you have the right info... or luck. David has a little bit of both, but that doesn't really mean much when he's been shot and is now bleeding profusely at the end of a tun A short story in the Reckoners series, this is all about an Epic who is able to clone himself an infinite amount of times. Kinda like horcruxes, because if one of them remains, the dude won't die. It's an interesting conundrum, but apparently easily solved, because this book clocks in at just over 30 pages. Easily solved... if you have the right info... or luck. David has a little bit of both, but that doesn't really mean much when he's been shot and is now bleeding profusely at the end of a tunnel that leads to a deadly drop-off and Mitosis is stalking him. Not the best situation to be in! A nice little story to get me into the mood for Firefight. I joined a large group of people in a buddy read of Steelheart earlier in this month and absolutely loved it. I love to listen to audiobooks while I workout. The problem is that I don't really love to work out so it can take me forever to finish a book just because I have a hard time getting to the gym. With the next book in the Reckoners series coming out soon, I thought that this short story would be great for today's trip to the gy This review can also be found at Carole's Random Life. 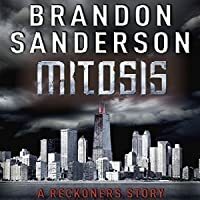 Mitosis takes place between the events of books 1 and 2 in the Reckoners series and is a nice "bridge" story to flow from Steelheart to Firefight. It's not necessarily anything extraordinary but it's another enjoyable adventure in this dark world that got me pumped for my return to the story. Do you need to read it for the next book to make sense? No. Do I recommend it if you liked Steelheart? Yes! “We can’t stand for something if we only move in shadows, Abraham,” I said. A novella with some very interesting tidbits. Full of action and funny moments. It's not necessarily a must read, but still worth-while to spend some more time with the adorable David and his awesome Reckoners, and also to gain some more information about this world Brandon Sanderson has created. This is one of the few novellas I felt actually added something essential to the series. The ongoing arc of The Reckoners is the characters’ struggle to figure out how epics’ weaknesses work. Mitosis offers so many clues! And I came away more pumped about the series than ever. This novella is totally worth your time if you plan to read the series. wooohoooo :D neverím samému sebe, že som to zvládol. Síce pomáhal prekladač, ale i tak. “The day had finally arrived, a day I’d been awaiting for ten years. A glorious day, a momentous day, a day of import and distinction.